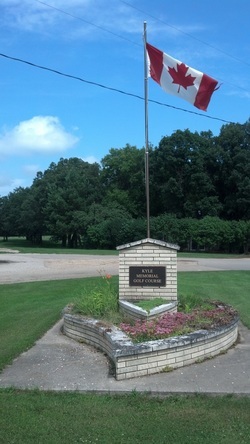 The Kyle Memorial Golf Course is located 20 kilometers from the Canada/ United States border in Dominion City, Manitoba. The original course was created by Garnet Kyle. What originally started out as a 3 hole course is now a full 9 hole, 2029 yard, par 33 and is open to the public. The KMGC club house is a licensed lounge with HDTV and an array of appetizers and finger food. Previous to 2015 the KMGC was a "cash only" establishment, we now have a debit machine as an alternative to cash only sales.